The school are enjoying having a larger number of children on role, we currently have 52 children. We enjoy an exciting curriculum which we enrich with trips and visits, such as ice skating, pantomimes, rock climbing, science events as well as using the village of Ashton for more local field studies. We have a range of clubs that take place throughout the year. So far this year it’s been netball, computers, construction, guitar, choir to name a few. The next two terms are always really busy, with lots of events going on, such as out annual show, our school fete, more trips and visits and enjoying the outside for sports events. All the Ashton Parish Council details are now held on their web site. This can be found at:….. The Council has been advised by the Superfast Northamptonshire Team that Ashton forms part of the County Council’s Stage 3 plans with Gigaclear. The plans with Gigaclear involve about 6,330 premises countywide, with deployment starting soon and the final premises connected by the end of 2018. Gigaclear’s solution involves Fibre-to-the-premise (FTTP) technology. This is widely acknowledged as the optimum technology as it provides the fastest speeds and greatest reliability. It is often referred to as Ultrafast broadband as it offers faster speeds than Superfast broadband. Gigaclear’s solution enables speeds of up to 1 Gigabit per second (Gbps). send details of dead lights to…. path is obstructed by a fence or a damaged style. click on 'report other problems' and then choose from the drop-down menu. often gets a quicker response than sending details to me, for me to report. The same applies ( see above ) to potholes and any other highways problem, which also have to be reported via the Street Doctor portal. spend in the Tuck Shop. For more information contact Helena on 07713083588 or go along on April 10th. Why not call in for a coffee, a chat and a chance to buy a homemade cake and browse the book stock? We are building up a good supply of up-to-date novels and non-fiction and the books are only £1 each! We welcome any children's books you may have finished with - it would be lovely to start up a collection for the younger ones to choose.Hope to see you there! We meet in Knights Hall at the usual time of 10.30 to noon on 21 November and on 19 December, when we will celebrate the Christmas season with mulled wine and mince pies. We look forward to seeing you for a cup of tea or coffee, a chat and a browse through the book stock. Do come and join us! up prizes and 50% goes to help with the upkeep of Ashton's historic church building. condition is a minimum of six months membership. with an extra Christmas draw taking place in December. organiser, 01604 864914 and she will explain it all to you. Remember " You need to be in it to win it!" Please consider joining or buying another number. The church building needs you. all the way Back to issue 1 !!! We have thousands of books, audio books and DVDs for you to choose from. Why not drop in and visit us. The mobile library visits Stoke Bruerne on the 2nd Wednesday of the month. The stop is at The Navigation Inn car park from 15.15pm to 16.00pm. The mobile library also visits Hartwell on the 2nd Wednesday of the month. If you are unable to visit a library for reasons of age, disability or infirmity you are entitled to the Home Library Service. Home Library Service customers receive a free personal library service with a range of books, talking books, music and information selected according to their own preferences and delivered to their home by a volunteer. Did you know that Roade Library has a Friends Group? We support the library by raising funds and promoting the library in the community. Any money raised goes towards buying those little extras for Roade Library, such as craft materials, games and beanbags, as well as supporting events. We always welcome new helpers, committee members, and ideas for how we can support and promote the library. We are also keen to get people from other local villages in the library. 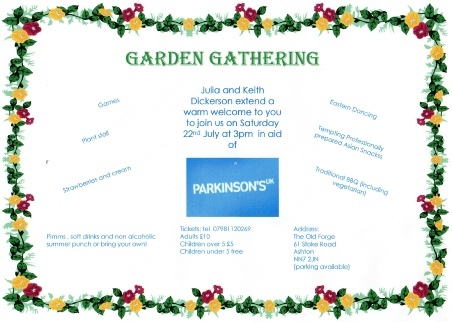 If you are interesting in helping or joining the committee, please contact the Chair of the Friends, Harriet Abbott (harriet_abbott@yahoo.co.uk 01604 86303). The committee meets once a month on a Sunday afternoon, apart from December and August. Due to the restrictions on time of the carers meetings at the Roade surgery the Patients Participation Group have decided to join with St Marys Church to host monthly 'Drop In' Coffee Mornings at the church hall,. The meeting do not have a speaker but an information desk manned by someone who can give individual advice therefore allowing you to 'Drop In'. We are very much aware of the help needed by the carers in our community and feel that by joining this already established group we will be in a better position to offer a wider range of advice in a much more relaxed environment..
your name to the list. The club are happy for any members of the village to visit, get involved and use the club for events. We at Mens Own are trying to strengthen our links with parents, players and the community to be the rugby club of choice for the area. 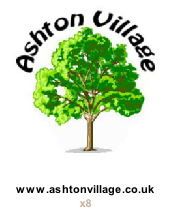 We are attempting to establish a way forward in reaching out to Ashton villagers and are in regular contact with parish councillors as well as the school and bonfire representatives. We would love to see more locals at the club and I am sure that all visitors would be amazed at the outstanding food and drink served on a Saturday and at such low prices. The warm and friendly nature of the club make it a magnet for our members and we are sure that once you visit and enjoy the rugby on the field and the atmosphere off it, you will be as hooked as we all are. We have ambitions to do so much more. Rather than being just a rugby club for our members we would love to know how we as a facility could benefit the village. What could we do to attract more members, visitors, hirers etc. I welcome any feedback or suggestions to firmly establish Mens Own RFC as part of the Ashton Community. The newly refurbished clubhouse is the ideal place to host your next event. Whether it be a celebration party, corporate meeting or community project the Mens Own RFC can suit your requirements. 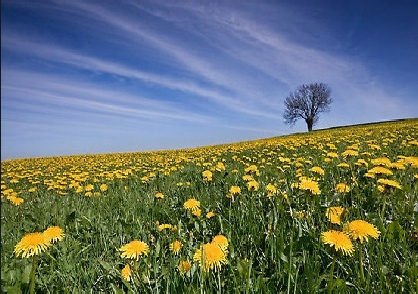 Situated in the idyllic tranquil surroundings we can offer a fully licensed bar, 11 acres of playing fields, catering facilities, ample parking, disabled and baby change facilities and that all important wi-fi connection. Mrs Joanna Hill 07779 061328. 10:30 - 12:00pm. Mens Own support sport in the community and have RFU fully qualified Coaches working closely with Hartwell School with after-school training sessions for year 4, 5 and 6 on Tuesday 3:30 - 4:15 and years 2 and 3 on Wednesday 3:30 - 4:00. Any level of ability and age are welcome at Mens Own, whether its to join the mini/juniors on a Sunday morning or the senior teams and be made to feel welcome in our friendly family clubhouse. We have a fully licensed bar as well as selling hot drinks and food. Angela Birch on 07747 447452 for the mini/juniors. The Men’s Own Rugby Club are asking that people walking their dogs in the area recognize that the field is used for playing rugby by adults and young people. Many of the local youngsters are learning to play the game at the club. Having the field fouled by dogs not only unpleasant but also a health hazard. Would people with dogs please refrain from allowing their dogs to defecate on the field and in the event of an ‘accident’ please remove the offending material. St Michael and All Angels church fund. To celebrate the completion of the 10 year project to re-order our Church, we have written a new book about Ashton. 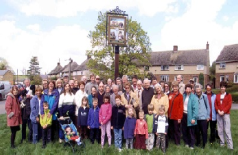 Village snapshot is a collection of photographs, documents, memories, facts, figures and video still that have been collected over the years by Andrew Fowler and David Farrand. Written in an easy to read style, based on our popular historical Walk and Talk tours of our village. 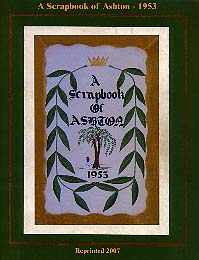 In addition we have added reminiscences of earlier days in Ashton. 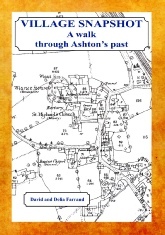 Village Snapshot - A walk through Ashton's Past sold very well at the Book Launch in December and has had many good reviews. If you missed the opportunity to buy your copy, there are still some available. for more information and how to buy a copy. staying at one of our local hotels / B&B etc. originally Published in 1953 – Now available again !